Gilles Peterson&apos;s eclecticism, on-point curation and effervescent ingenuity has seen him bring the best of world music to listeners and dancers across the globe for the last 30 years. From Panama to Peckham, Gilles has continued to bring through a plethora of quality records, artists, and stories on a day-to-day basis. Whether it&apos;s on his hugely popular BBC Radio 6 show or the Bussey Building dancefloor, Gilles&apos; constant search for "the perfect beat" shows no signs of easing up. All these attributes make him a perfect fit for his new role as Creative Director of WeTransfer, which Complex broke the news of in June. WeTransfer and Gilles share similar values, namely the championing of new talent. His role will include curating live events, directing film projects and creating new music partnerships and content, including getting involved in the brand&apos;s WeTalkMusic sessions and creating a mini documentary series for the brands Creative Class platform. 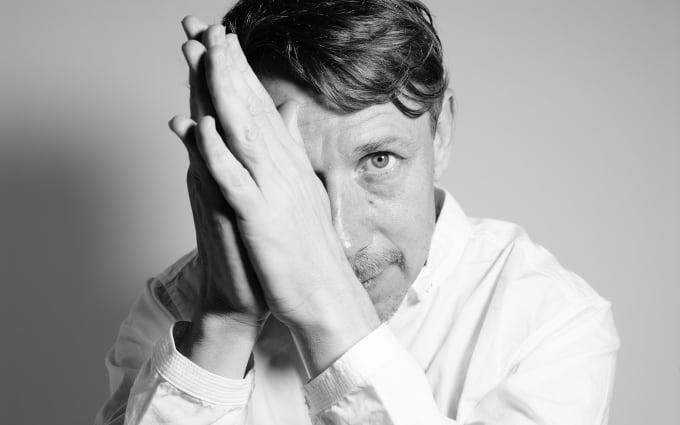 Complex caught up with Gilles Peterson in Cannes, at the WeTalkMusic event, where we discussed how the music industry has changed for the better through the likes of WeTransfer. Gilles, first of all, welcome to Cannes. Is the South of France somewhere you have a bit of an affinity with, seeing as Worldwide Festival is around the corner? I used to come here when I was in my late teens to the Jazz Festival in Nice, which is really where I got to see a lot of the greats before they died. I saw the likes of Miles Davis here with a group of guys who I would hitch with for a week. Gigging here&apos;s not so much fun; it&apos;s very bourgeoisie and, politically, it&apos;s quite right-wing. But luckily for me, I found my spiritual home in Sète, which is the home of George Brassesns—the famous French poet. So I go there, bring a bunch of Brits and mix &apos;em in with a load of French and have a magical week there at Worldwide. I also do a radio show at Radio Nova in Paris—which I&apos;ve been doing for 20 years—and have a residency there, too, every three months. What were the first records you started buying? What was the initial draw to start getting into music and hoarding wax? Pirate radio and the jazz-funk scene. Radio Victor and Radio London, and the Brit-funk scene. This was a time when the music scene was controlled by the British rock press, so everything was definitely a lot more underground. You had to find a lot more out for yourself, and suddenly you realise there&apos;s all these bands out there, doing it for themselves and that&apos;s what got me going. What really got me into wanting to be a DJ was at this Soul Weekender, where they were playing John Coltrane backstage and people were dancing to it. I&apos;d never heard this music before—I thought it was just for old people, and yet everyone was dancing to it. Then my mission in life was to make people do the same. So literally, from then on, you knew you wanted to be involved with music? In a way, I had such a huge reaction to it myself, that I wanted to make it happen for other people. That was my entry into the scene. What appealed to you about becoming Creative Director of WeTransfer? Well, it&apos;s a dream. I mean, for me, it&apos;s the perfect mutual brand with the same creative aspirations as me. I&apos;ve got to a stage now where I&apos;m looking to go further than just DJing. So I met up with Damien, Nalden and Lukas from WeTransfer, who are all from the Netherlands, and they all have fantastic music taste. They all asked me how could collaborate, and so we&apos;re setting up Worldwide FM permanently in Stoke Newington, which they agreed to help out and set up in September. Tell us a bit more about what Worldwide FM is going to encompass. Every morning, Worldwide FM is going to be held in a different city across Europe: Brussels, Berlin, Rome, Paris, Istanbul. That will be the 8-10 morning thing, with the 10-6 slot being UK based and the rest of the show taking place in LA. It&apos;s going to go across Japan and Asia, South America, so it will really make for a fully &apos;worldwide&apos; station in every respect. But the difference this station will have compared to others will be that the DJ can use the radio as a platform for themselves. So we&apos;ve got a variety of hosts; there will be no regular hosts other than the Breakfast guys, and we have Lefto in Paris and the Metatron guys in Brussles. For me, it&apos;s me curating my favorite music selectors from around the world. It&apos;s non-evasive, great radio that isn&apos;t totally soulless. I&apos;ve got quite a unique take on club culture, and there are mini-movements everywhere around the world. Plus, it&apos;s a very exciting time for DIY producers and musicians right now. On one hand, you&apos;ve got the major labels, bigger productions and Kendrick Lamar pioneering start-up music right the way through to your Four Tets and Floating Points, and all this British-ness that you can&apos;t leave—constant re-invention and competitive spirit, which means the scene constantly changes and shifts. It keeps me on my toes. How do you feel companies such as WeTransfer have shaped the music industry? It&apos;s given the scene a right good kick up the arse, which it needed as it was becoming so monopolized. 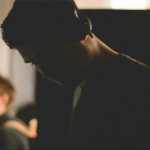 I was just thinking of artists such as James Blake... I remember when he first signed to Polydor in 2011. It was even a different era then than it is now! Even then the culture for him was like, "Oh, I&apos;m on a major. Are they gonna understand what I&apos;m about?" But now, you can literally do it without a major label. If you&apos;ve got the talent and the organisation, you can now get the movement behind you that will carry you to incredible places, which you would never have dreamt of in the days when the music industry was ran by such a tiny conglomerate of people. Having worked in the music industry then, when I was with Roni Size and all that, you always felt like you were the underdog and that you had to explain yourself. The &apos;net has allowed the artist to create a more level meritocracy. The same thing&apos;s happening with my radio show on the BBC. In the show, I&apos;ll play everything from Sun Ra to Koreless, DJ Rashad to Albert Ayler—some old some new—and it doesn&apos;t actually fit into any box that the BBC would&apos;ve understood back in the day. But because of the internet, suddenly, you don&apos;t need to be relying on figures, and now my show has the best figures on the entire BBC music output! It&apos;s really weird, and a strange sort of dilemma as they don&apos;t get it [laughs]. People are starting to appreciate that they don&apos;t want it in boxes. Would you say your style and selection has always had an emphasis on variety? I&apos;ve always had an emphasis on modernity. And I&apos;ve always had an emphasis on finding the best of British club culture. So, for me, I felt I was more of an exporter and ambassador for the music and the scene. As a result, I was there to champion D&B and bass music culture—whether it was a Joy Orbison, Mount Kimbie, Amy Winehouse or Lily Allen track... I actually got her music through MySpace! That was the medium back then. But yeah, for me, it was always about championing those musicians and producers who needed that platform. The other part of what I enjoy doing is getting the energy I do in a club, so more straightforward dance music—and adding to that the heritage.